Busy afternoon at the pub when I stopped by. Most of the beers on tap are readily available at my beer shoppes, but a decent selection nonetheless. The food looked good, but I didn't eat. I did order a 12oz imperial IPA that I'd never had before. Instead, I was brought a 16oz that ended up being the regular IPA. Not happy about that or that I didn't even see my server for the next 15 minutes. 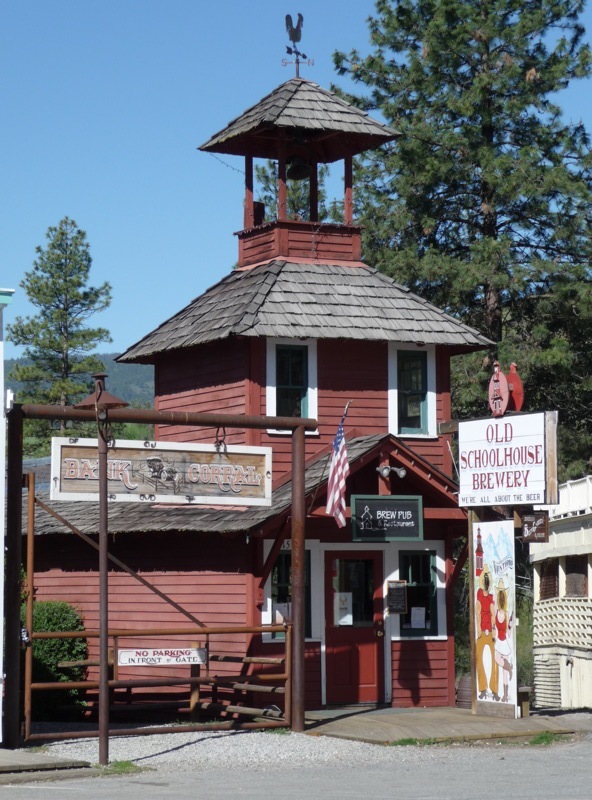 The Old Schoolhouse Brewery is right in the center of the old west themed town of Winthrop in the scenic Methow valley in eastern Washington. Both locals and tourists are customers, however, and we had a very friendly reception. The pub is in a very odd, apparently two story, red wood-sided building with a belfry and weathervane on top. The building is extremely narrow in the front, deceptively as it happens, as you enter the interior soon widens into the dining area and bar. There are rough, worn, but classy light wood floors with wide planks, a white textured plaster ceiling, and windows all along the right side. Colored, opaque, glass pendant light fixtures help to create a very comfortable pub/restaurant feel. The dining area is in the front and along the right side of the room. The dining tables are made of light colored, thick, and fairly rough hewn wood, and have wooden chairs. The bar area is towards the back on the left. 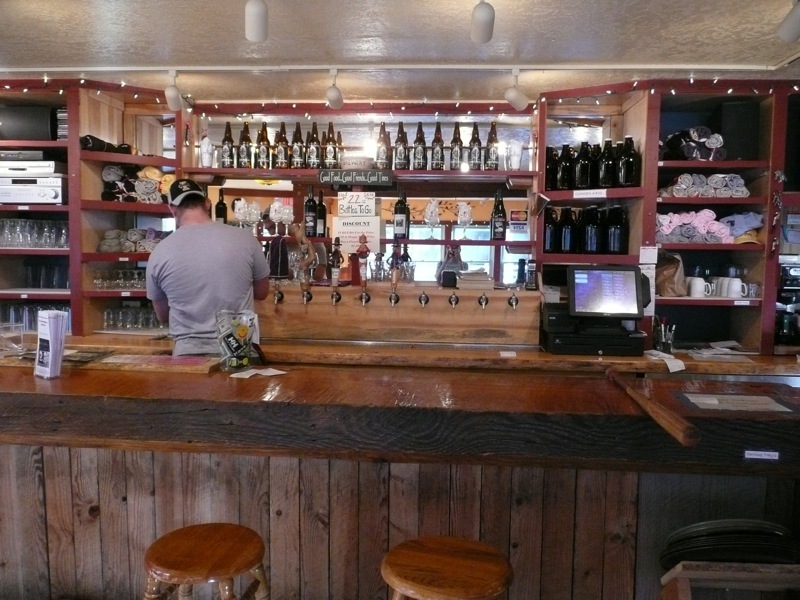 The bar itself is an amazing wooden beam, at least 5 inches thick and 2 feet wide. Opposite the bar, defining the border with the dining section, is a similar beam, if not as thick, or as wide. Both are lined with wooden stools. At the back there is a deck, and after descending a wooden staircase, you reach a large outdoor patio overlooking the fast moving river. 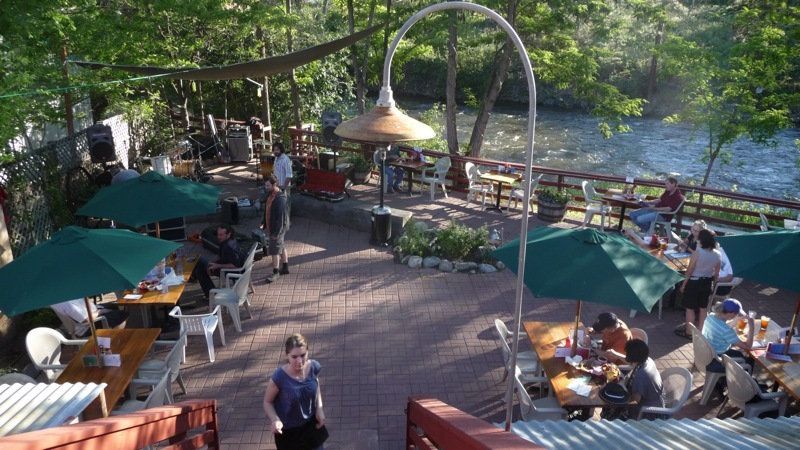 The patio is a great place to be on a warm summer afternoon or evening. Wood topped tables and white plastic chairs fill the patio. Many of the tables have green market umbrellas. A stage at one end of the patio hosts live music on occasion. 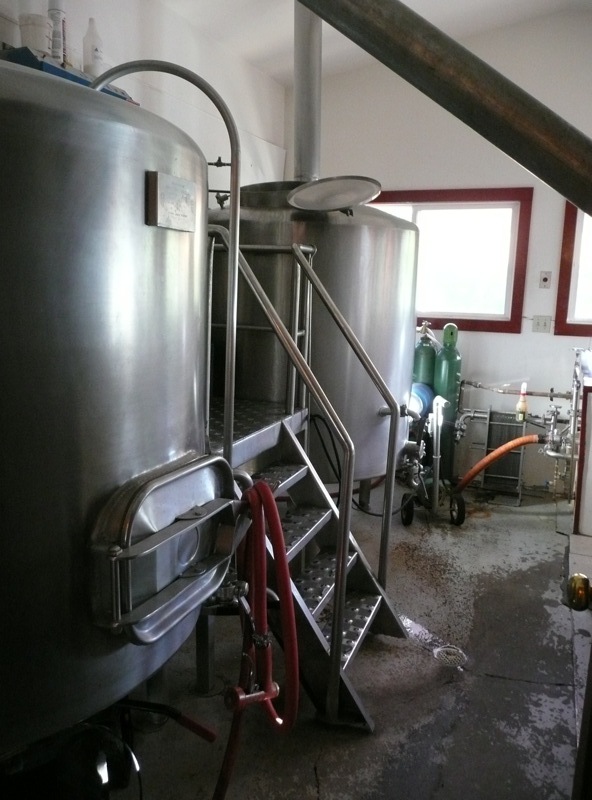 The brewery is a the very back, and looks very small and simple/basic. Some of the lack of sophistication of the brewing equipment is evident in the beers, but the pub is still a worthy visit. The beers available are: Double-D Blonde, Epiphany Pale Ale, Blazing Amber Ale, Ruud Awakening IPA, Uncle Bigâ€™s Brown Ale, Hooligan Stout, Backcountry Coffee Stout, and the Brewerâ€™s special (an Imperial IPA, on our visit). Food is wraps, salads, and burgers, including a â€œcreate your own styleâ€ burger. The fish taco wrap we had was good, if not the worldâ€™s definitive version. The odyssey continued heading north on Hwy 20 after about 10 minutes when we left Twisp we where in the quant little western town called Winthrop. It was cool to see what reminded you of the old west towns you saw on TV. 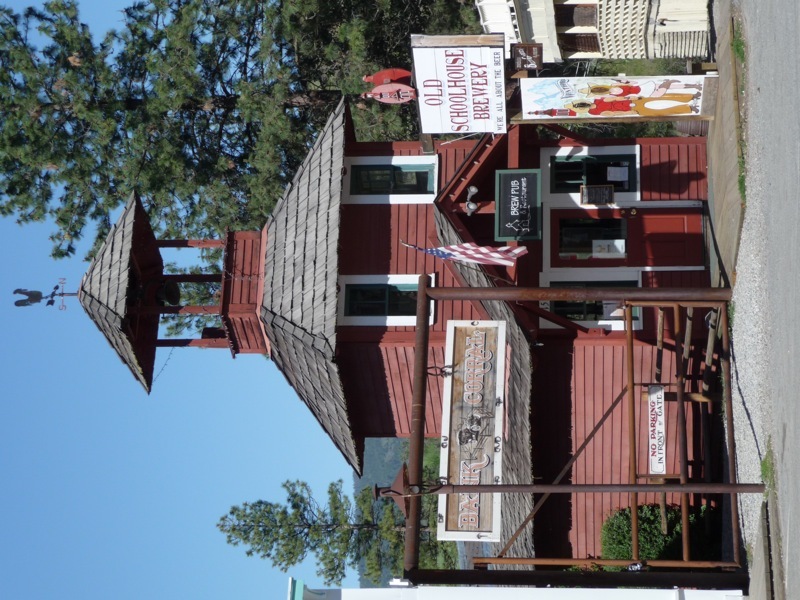 Old bars, shops and a Old red schoolhouse that is now a brewery. 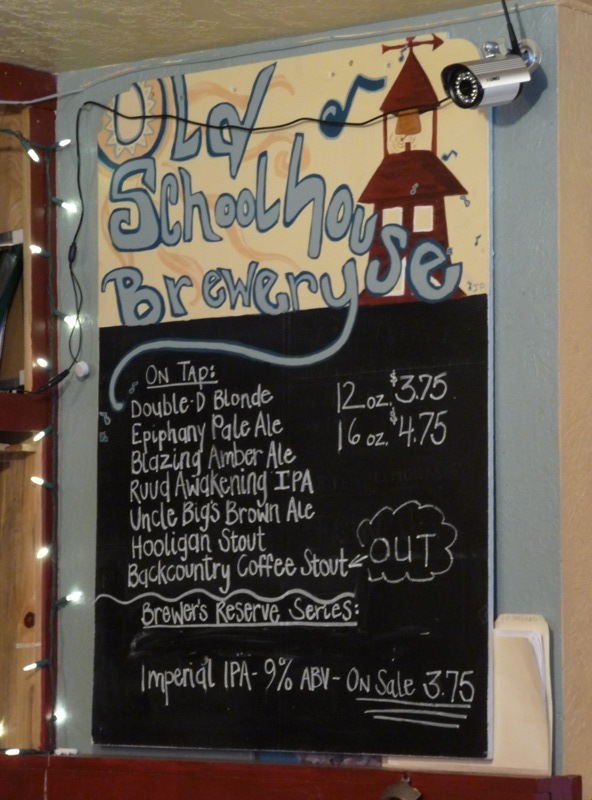 The Old Schoolhouse Brewery was next for my adventures and tasting of all things beer. Watch our step you can catch yourself on the door jam on the floor. The old schoolhouse turned bar was awesome looking and had a great feel. The outside seating was overlooking a great view. This is a must stop the food was pub fair and we had plenty to go around. Little ones are welcome so that made it better for us with our little one. We will be back for an extended stay next time. Get our wranglers on and get ready to do some back country hiking and horse back riding. And then to finish it with a growler of IPA, Cream also or even a Cowboy Coffee stout. Thanks for a great time Old Schoolhouse. They just celebrated there first year being open and the brewer is really brewing up some great beers.